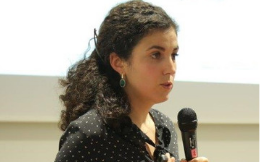 Since March 2018 Giulia is a senior manager of Officine Innovazione, Deloitte Italy’s startup dedicated to innovation services. She manages Innovation Services for corporates and startups. Giulia is currently in charge of the FoodTech accelerator run by Officine Innovazione. Before joining Deloitte Giulia was the Product and Services Innovation Director in Paris for a major France retailer and she’s been the senior brand manager for FMCG brands (cosmetics and food) in Italy and France. She likes reading, sailing, swimming and art. She’s a proud mother of 2.